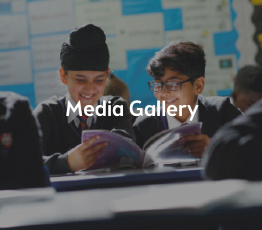 Below are quick links to a range of key statutory documents relating to the school's performance and other important aspects which parents and other stakeholders may find useful. 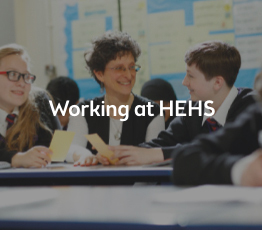 On our School Improvement link we also have full details for our three year strategic vision, current whole school priorities and current self evaluation. Contact Details; name of school, postal address and telephone number, name of headteacher, name of chair of governing body, name of member of staff to whom enquiries should be addressed as well as a downloadable staff list. Percentage of students achieving a good pass in English and Mathematics. Percentage of students entering for the English Baccalaureate. Percentage of students achieving the English Baccalaureate. Percentage of students staying in education or employment after Key Stage 4. Link to OFSTED Inspection Dashboard. 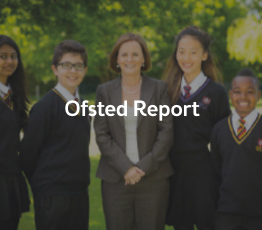 Link to the school's OFSTED report and relevant documents. Admission arrangements for each age group or where they can be found. Information including any over subscription criteria and how to apply for a place. Sixth Form Open Evening information. School curriculum information for each group by subject, including phonics/ reading schemes and Key Stage 4 courses / Qualifications with relevant external links including OFQUAL. The school’s approach to the curriculum and how more information can be found. 16 to 19 study programme requirements. Allocation for the current year, how it will be spent and how the impact will be measured. How the grant was spent in the previous academic year and the impact. The date of the next review of the Pupil Premium strategy. The school's Year 7 Catch-Up Premium considering the allocation for the current financial year and how the school intends to spend the funding. It also details how the school spent the previous year’s allocation and the impact this spending has had. Full SEN policy can be found on our policies page. Name and details of SEN Co-ordinator (SENCO). Public Sector Equality Duty: the school's Equality Objectives. The structure and remit of the members, board of trustees, its committees and LGBs, and the names of the chair of each as well as the register of interests.